Some artists personify the dreams of an entire nation. Unofficial spokespeople of millions, they come to represent the hopes and feelings of a people at a certain period of time. And although I am by no means an expert on this, the music of Lucky Dube seemed to be that exact outlet for the majority of South Africans I met last summer. Dube (pronouned doo-beh) got into reggae after releasing four albums in mbaqanga, Zulu pop music. Finding similarities in the political undertones of Jamaican reggae with the day-to-day oppression he noticed all around him in apartheid South Africa, Dube moved to reggae as the outlet of his messages. 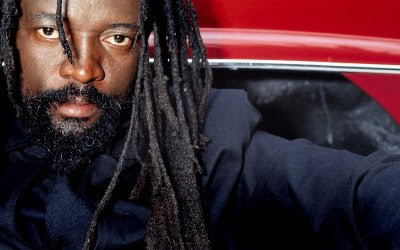 Quickly becoming wildly popular in South Africa, Lucky then went on to become one of the most beloved reggae artists in the world, breaking into the world music scene just as the apartheid system fell. While travelling around South Africa, we were told by almost everyone we met to check out his music. Although most of his songs couldn't quite meet the vast expectations we had by then, this song did and more. Perhaps it's the rocksteady beat, perhaps the vibrant steel drum. Might be the uplifting chorus. Whatever it is, this is a powerful jamandahalf, reflecting Dube's mindset, and by extension, that of many South Africans during that dark period of South African history.